Recommended by The Committee on Tactical Combat Casualty Care as the first line haemostatic agent. 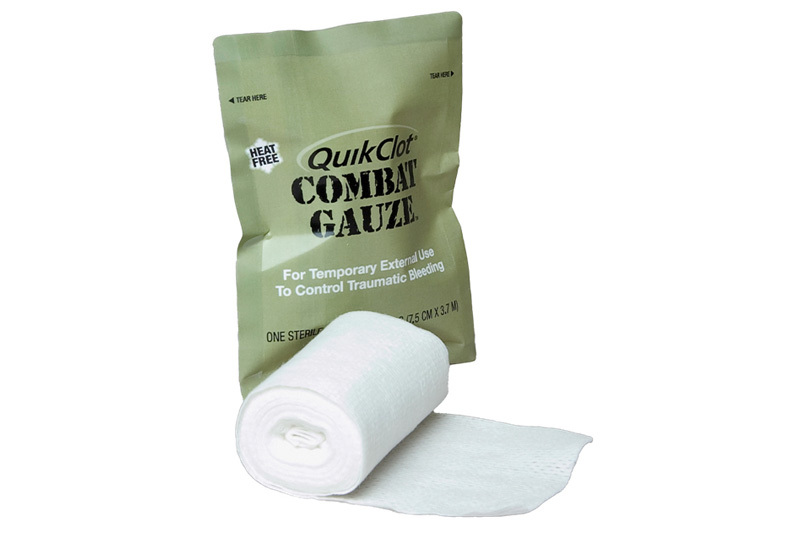 Combat gauze is a sterile gauze impregnated with Kaolin, a material that causes the blood to clot without generating any exothermic reaction. The combat gauze provides the ultimate stopping power for traumatic wounds; requiring no mixing, measuring or heat - just open and apply. Easy to pack, it stays cool under pressure and remains ultra flexible while conforming to any shape or size wound, and removes easily without effect.